Need to shop for the holidays, but hate standing in long lines? We don’t blame you. That’s why we are offering two holiday gift specials that are perfect for the international travelers on your list. And all it takes is a simple phone call on your part! 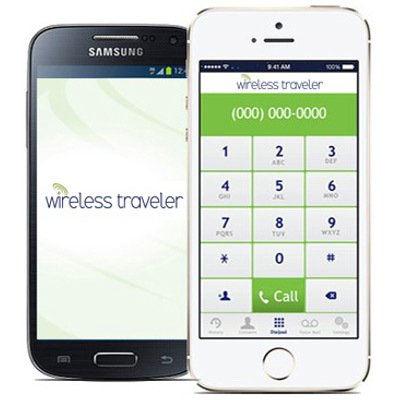 Gift Idea #1 — We have Wireless Traveler App Gift Cards just in time for the holiday season. For only $10 you can gift your family and friends up to 8 hours of calling from anywhere in the world! The App is free to download from iTunes or Google Play. Once it is activated, they can call back to the States for only 2 cents/minute in WiFi mode and they will also receive free unlimited App to App calling. Travelers who have used the app love its crystal clear calling and reliability — no matter where they are traveling. Gift Idea #2 — Until December 31st, we are offering our Wireless Traveler Pocket WiFi Hotspot with unlimited data for ONLY $99 (reg. $175)! This offer is valid until Dec 31st or while rental stock is available. Our Pocket Wifi Hotspot has been around the world this year and travelers have loved being able to connect from just about anywhere they are — from a helicopter in New Zealand to a tour bus in India to a train in Europe! Contact us for more information and to order your Wireless Traveler App Gift Card or Pocket WiFi Hotspot in time for the holidays.